An acclaimed South African writer, she won the Booker Prize and became a Nobel Laureate in Literature in 1991. 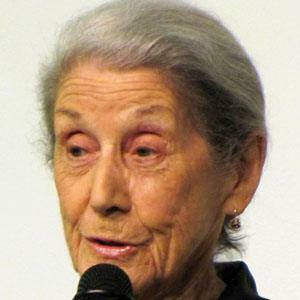 Her best-known works include The Conservationist and July's People. She published her first novel, The Lying Days, in 1953. During the Apartheid era in South Africa, she was a prominent activist for racial equality. She is also known for the the critically-acclaimed works, The Pickup and A Sport of Nature. Her second husband, Reinhold Cassirer, passed away in 2001. She had one child with Cassirer and another with her first husband, Gerald Gavron. She earned the Nobel Prize in Literature a year after Octavio Paz received the same honor.